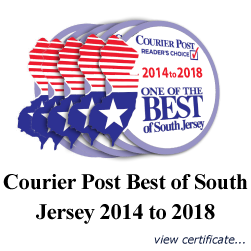 Assited Living Services in New Jersey that you can depend on. Bonded and insured quality caregivers is our promise to you and your family. Each potential employee has to undergo a thorough screening prior to being offered a position with Sunlight Care. Each Certified Home Health Aide applicant must successfully pass a written and physical skills competency test, a drug test and the New Jersey Board of Nursing Background Investigation. 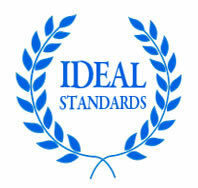 Their work history is evaluated and verified. Finally, the care giver is required to have a physical and have prove they are free of tuberculosis. We are confident you will be impressed with our employees. Each employee is bonded for $10,000. Sunlight Care id fully insured. 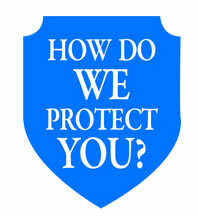 This also protects you since we wont be harmed by lawsuits we will always be there to provide service. Sunlight Care caries General and Professional Liability Insurance in the amounts of $1,000,000 / $3,000,000. We also carry $1,000,000 in Non-Owned auto insurance. Sunlight Care does not use contractors (this is illegal in New Jersey). 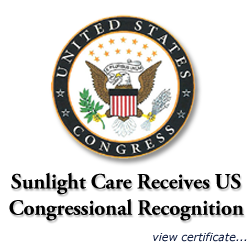 Sunlight Care pays all employer related wage taxes and insurances (including Workers Compensation) for each of our employees. So if one of our employees get hurt on the job they are protected. You have no obligations to them. All Clients receiving Personal Care are evaluated by a registered nurse to determine what kind of care is needed. A unique care plan is developed for each client. Then a suitable Home Health Aide is selected and oriented to the tasks by a Registered Nurse. 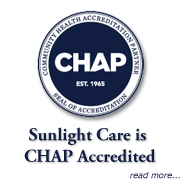 Sunlight Care Home Health Aides are supervised by a registered nurse. The plan of care is review in person with the Client at least every 60 days or sooner if the situation changes. The care plan is reviewed at this time.